← TRC #303: Earlobe Creases + Is Venus The Cat A Chimera? + Why Do Our Fingers Prune? Episode 304 of The Reality Check will likely break every podcast record ever set. Darren leads things off by analyzing some productivity hacks he read on the internet. Pat then leads a game of Name That, with a totally topical theme. 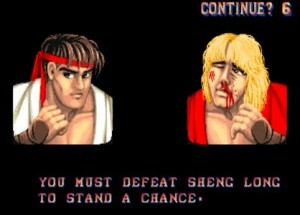 Adam ends the show by answering if Sheng Long was a real Street Fighter character. This entry was posted in The Reality Check Episodes and tagged 304, edition, hacks, long, productivity, sheng, topical, trc. Bookmark the permalink.